Welcome, and thank you for your interest. This page shares more about my practice, training, and personal life. Since 2007 I’ve helped over 1,000 people lead more fulfilling lives. As a psychologist I am trained as a scientist and a practitioner. This means I use evidence-based therapy, with my interventions coming from the latest scientific research. Those who know me describe me as easy to smile, bright, dependable, and kind. My life’s passion is helping people find their strengths to achieve their goals, which is accomplished through a warm and non-judgmental therapeutic relationship. Intuitively, I know when to listen and be supportive, and when to be proactive and directive. My formal training in psychology began in 1999 at the University of Nevada, Las Vegas. In 2005, I started my Ph.D in clinical psychology from Loma Linda University and graduated in 2011. During graduate school I studied neuroscience and neuropsychology to develop an understanding of brain-behavior relationships. This culminated in a doctoral dissertation studying how emotion affects memory. Concurrently, I developed psychotherapy skills in a variety of settings including a Veterans Affairs Medical Center, a rehabilitation hospital for those with brain and spinal cord injuries, an outpatient university mental health clinic, and a California state hospital which houses violent and criminally insane offenders. Following graduate school I completed a 2,000 hour post-doctoral residency in Northern California at a large healthcare organization called Kaiser Permanente. For several years I worked with Kaiser Permanente as a staff psychologist. In addition to seeing individuals, I was the ADHD assessment coordinator and developed and led a curriculum for several groups, including treatment groups for anxiety and OCD. 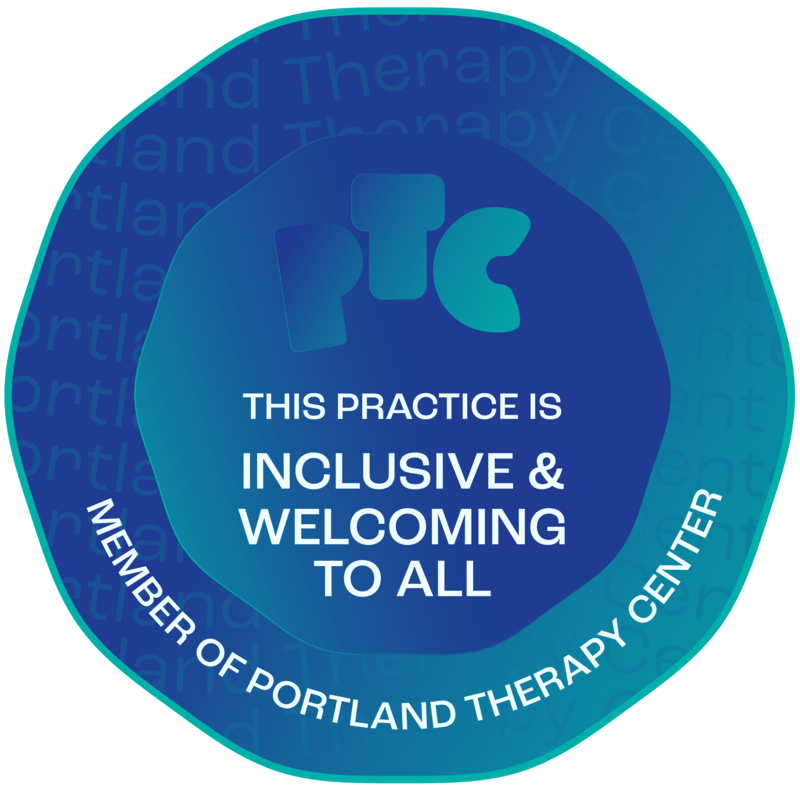 In 2016, I relocated to Portland to be closer to family and opened a private practice. I currently hold a license to practice psychology in California and Oregon. As a child I always knew I wanted to help people, and my path to becoming a healer began as a youth. Experiencing social adversity left me floundering for connection and meaning for much of my teens and early 20’s. During that time I struggled with anxiety and depression. I recognized that in order to best help others I needed to help myself. I reached out to mentors and professionals who helped me cultivate my strengths and resources to find hope, healing, and direction. One of the greatest sources of my personal and professional growth has been a commitment to years of my own group and individual psychotherapy. I understand what it feels like to sit on the other side of the chair, and I have great respect for those willing to open up to a professional like myself. In my personal life I have cultivated diverse interests which I believe affords resilience in trying times. I value close relationships with family and friends. I have passion for being with nature, travel, and understanding other cultures. As a drummer, playing live music channels my creativity and I enjoy dancing. I’ve been a loving guardian to many animals in my life. To keep my mind sharp I read fiction and non-fiction and I enjoy writing. Prior to my profession as a psychologist, I worked many jobs from washing dishes, delivering pizzas, telemarketing, quality assurance for video games, and sales/retail. To cultivate a more worldly perspective I’ve undertaken extensive backpacking travel to many developing nations. I desire a long healthy life, and I do my best to eat a balanced diet and practice regular exercise and meditation. I truly practice what I teach. Moreover, I cherish the fulfillment of seeing the people with whom I work live better lives. I appreciate your time and consideration in reading about me, because choosing a therapist is an important decision. A skilled therapist is worth their weight in gold, and a commitment to therapy can be truly life-changing. Please ask any questions you may have, and I welcome the opportunity to work together.